About Vanessa B. Message Vanessa B. TOUR GUIDE RESPONSE: Thank you very much!! It was a pleasure to meet you. She was awesome! Super friendly, very knowledgeable and made sure we were taken care of in every way. She even asked us for our flight information so she could keep checking our return flight for any changes in order for us not to miss the flight back to Rio, since this was just a day tour. From the moment she met us at the airport for pick up she was nothing but friendly and thoughtful. We toured parts of the falls at our own pace and Vanessa made sure that she was there waiting for us at each point. TOUR GUIDE RESPONSE: thank you very much for the beautiful words Laura, it was a pleasure to meet you. Thank you for the preference. Visiting Iguazu falls is a nust do! It was an excellent experince and I recommend it doing it with a tour guide. 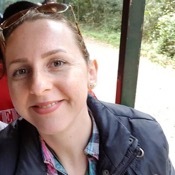 Vanessa was excellent in accomodating a tour for 11 persons in short notice for a 1 day trip with pick uo at iguazu airport and trasportation back the same day. We did the Iguazu falls by helicopter, walking and by boat! We were picked up at the airport and brought back with no issues. TOUR GUIDE RESPONSE: Thank you Mr. Rodríguez, it was a pleasure to meet you. We had a fantastic time with Vanessa! She is knowledgeable, flexible and fun to spend time with. Her passion for her job is clear, and she answered every question we had. 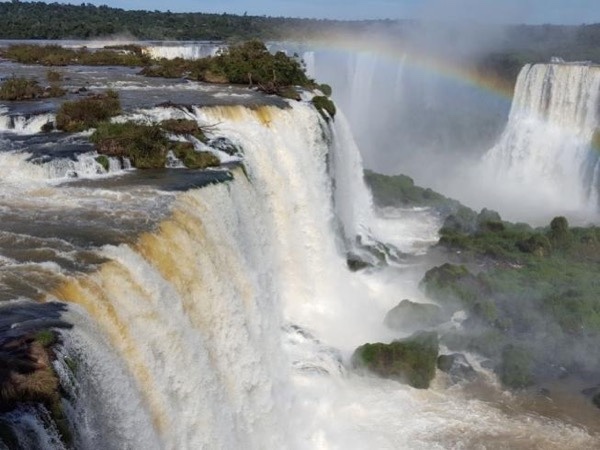 We highly recommend Vanessa and the unforgettable Iguazu National Park! TOUR GUIDE RESPONSE: Thank you!! It was a pleasure to meet you. I am very happy that you have enjoyed Iguazu. TOUR GUIDE RESPONSE: Thank you very much for the evaluation. It was a pleasure to visit the Falls with a couple as nice as you.